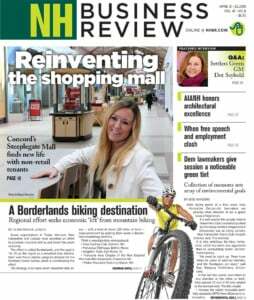 Businesses and residential customers that left Public Service of New Hampshire, now Eversource, to avoid paying higher electric rates may be able to avoid bearing the same cost as other ratepayers in the utility’s planned divestiture of generating assets. At least that’s the stated intention of a vaguely worded last-minute amendment on electric restructuring legislation, proposed by Sen. Jeb Bradley, R-Wolfeboro, on Thursday. House Bill 221, which the Senate passed unanimously, would require that all ratepayers pay stranded costs for about $500 million in losses generated by PSNH’s coal-burning plant in Bow as well as other generating assets, as part of a complex deal between the utility and state officials. Much of those losses are due to a controversial $424 million mercury emissions scrubber PSNH added to the Bow plant to meet environmental regulations. The deal could save money for those who buy their energy from Eversource and are now bearing the entire cost of maintaining Eversource’s assets as well as giving the 10 percent return that a utility is entitled to by law. By securitizing the assets, the losses would be spread out over all ratepayers in Eversource’s service area, with an interest rate of about 3 percent, resulting in an estimated $300 million savings. But the deal would increase costs for those customers who buy their energy elsewhere, since they now don’t pay anything for those assets. That was reiterated when the Legislature required that PSNH install the scrubber in 2006. “I don’t think that goes far enough,” Doug Patch, a lobbyist for TransCanada, a competitive supplier, told NHBR. Sen. Andy Sanborn, R-Bedford, echoed some of these concerns on the Senate floor in opposing the bill, at least until lawmakers had a better chance to look at it. “We are about to lay a $500 million debt for a decision that a private company is making,” he said. With interest, that comes out to $35 million year of increases in electric rates, which he said, is the equivalent of raising the business profits tax to 9.3 percent. This would in particular hit manufacturers, some of which, over 15 years, will pay as much as $2.5 million, he said.